My 6th grade students have been busy writing a report for Ancient Greece. Once they had their report created they got to become a reporter on the scene via an iPad app called Veescope Live. After my students had recorded their parts with the green-screen app they imported their recordings into the iMovie app. With a little creativity and a twist of techie magic my students created some pretty neat news reports. There are many projects students can create with the green-screen app and the iMovie app such as book report, news report, short story, and etc.... When using the green-screen app it is wise to have students pair up to help each other out. I also suggest that students create themselves cue cards. That way students are looking toward the iPad when recording. Students also need to record in a quiet place and they need to speak up when recording. The microphone is on the iPad and will pick up the sounds nearest to it. 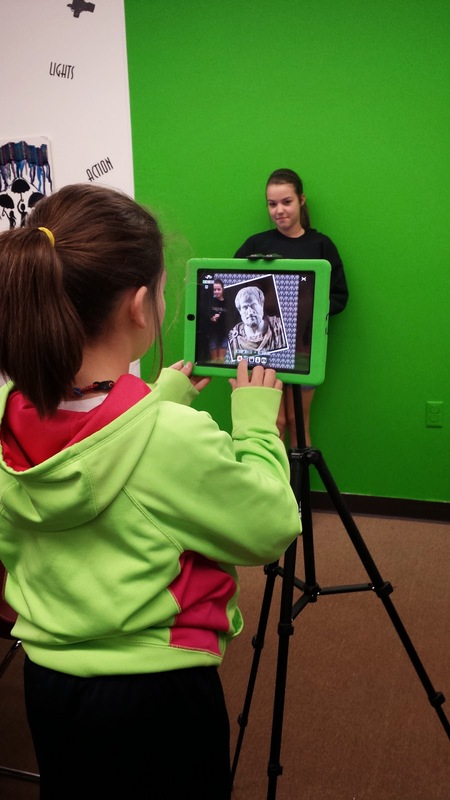 With the Veescoope app students do not necessary need to recored in front of a green-screen or a green wall. They just need to be in front of a solid color background or wall. I am not an athlete by any means. I ran the mile once in high school and I ended up passing out after wards. This year I have challenge myself to participate in several Fun Runs. This is a major step for me since I had open heart surgery 2 years ago. Before that I couldn't even walk very far without stopping to catch my breath. I know I will never come in first place in these Fun Runs but my goal is just to finish. I participated in my first Fun Run this past October. Today I participated in my 2nd one. I made it all the way from start to finish without stopping to catch my breath. For me that was a major victory. 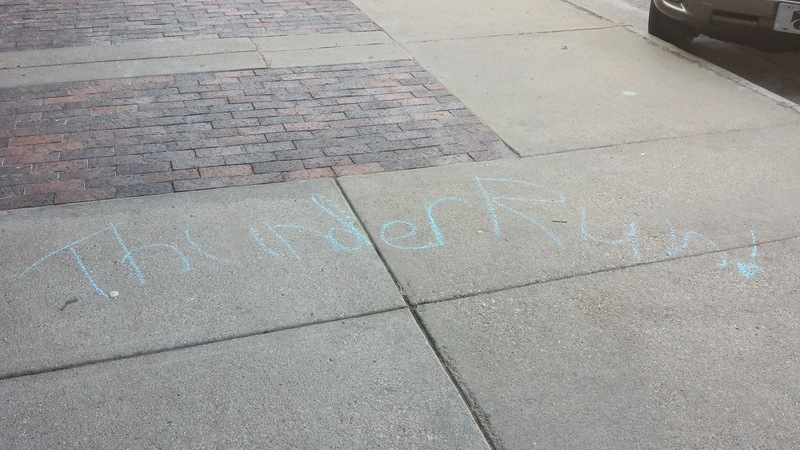 I noticed along the way that the girls had wrote messages in sidewalk chalk. These little messages kind of helped me keep going. I was happy to participate in this fun run, and I can report that I didn't come in last. 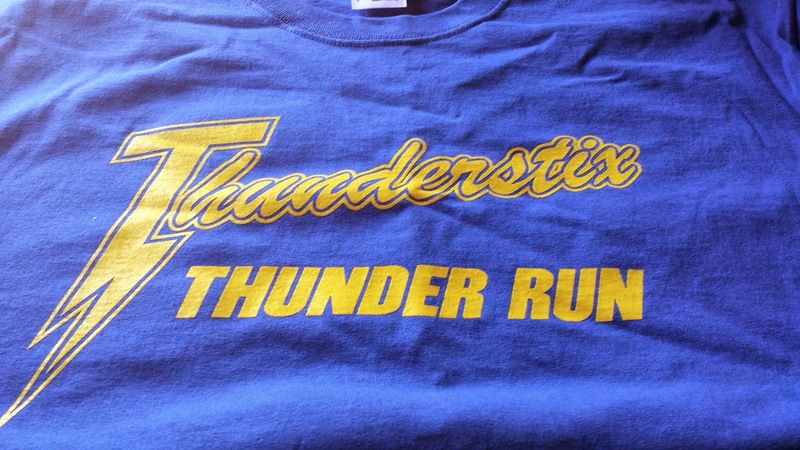 Good Luck Thunderstix I hope you have a great softball season. This week my students have been busy creating some magic with Google Glasses and a Green-Screen app on their iPad. Their assignment was to type up a Mini Movie or a Movie Trailer, when they were finished then they could create their little production using Google Glass and a Green-Screen. Creativity went wild as my students brainstormed their stories and problem solved ways to reenact their storyline. 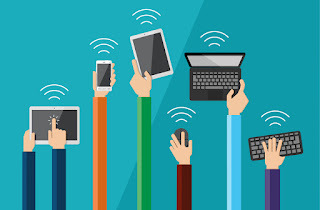 My goal in getting Glass in my classroom was to put the technology in the hands of my students and have them develop ways of using this technology. I have really enjoyed watching their wheels spin as they thought of ways they could put Glass to work. I can't wait to see where my students take their projects and the ways they incorporate Glass. Another part of our project is using a Green-Screen app called Veescope Live Full version. It does cost $2.99 but is so worth the cost. You can use a video clip, a still picture or multiple still images for your backgrounds. Just save the images or video clips you want to use with the app to your iPad's camera roll and you are set to start making some Green-Screen magic of your own. Make sure you have plenty of light when using the app. Don't have the kids stand right up against the wall or Green-Screen, sometimes it makes it hard to separate the person from the Green-Screen. We use a stand to hold our iPads which has helped keep our videos stabled. Make sure the person being recorded isn't wearing green or a blueish green, them become ghost like. To launch the App Store you need to click on the icon that looks like a store window at the top right hand side of your screen. Once in the App Store you look around and find the app that will meet your needs or your student's needs. When you click on a an app you will get information about the app along with a description and even a list of apps that are similar to the one you are currently looking at. Once you have found the app you want to use it is time to install it. If it is a free app you simply click on the "Free" button and then check mark the groups you want to use the app with. You can choose to use the app with more than one group you are the owner of. If the app cost you will have to purchase it and then choose the group or groups you would like the app installed to. The licenses for the apps do last 1 year from the day they are purchased. Once you have your app or apps installed in the groups you are ready to go. You can manage your apps by click on the wrench icon. For example you really like an app and want to add it to another group you would go to the wrench to edit which groups has access to that app. The 4 square icon launches a window for you to view all of your apps, where you can open them. You can also add to the right hand side the apps you are using the most for quick launch. To close the apps all you have to do is click on the X at the top right hand corner. Students also have the 4 square app launcher. Students do need to be in your group in their Edmodo account to access the apps you have assigned to them. If they try to launch an app via their home screen in Edmodo they may not see it. If you would like more information on Edmodo Apps "Click Here" to visit their support page. I like to give my students a day a play. I call it sandbox time. Let them explore the app, see what they can create or do within the app. Have them show each other what they learned. Tonight I had an experience of a life time. I was the host of #edmodochat on Twitter. The topic was Tool, Tips, Apps, OH MY, a little play on the Wizard of Oz (Couldn't help it being a Kansas girl and all). All week I was one of the moderators for the Twitter feed #edmodo and #edmodosupport, giving help when I could. Both of these were volunteer and an experience I wanted to have and glad I did and hope I can repeat. I did have a major glitch on the chat. I was posting the wrong time, I am so sorry. I am on spring break with all three of my kids. My two teenage boys have for the most part left me alone but my 5 year old I am her only audience and her world. If you have a little one around that age you know what I mean. I had enter the wrong info in when I was trying to convert the different timezones, next time I will only announce the Eastern Timezone. As teachers if we do not learn from our mistakes we need to go back to school, you live and learn. Mistakes=learning. Thank you Edmodo for this chance to grow. If you missed the chat I did save it. If you would like to connect and learn more about Edmodo I would love to help you. My Twitter id is @katieann_76. I have been asked several times what is the purpose of using Google Glass in my classroom, if I want to capture evidence of learning why don't I just use my iPad or phone. 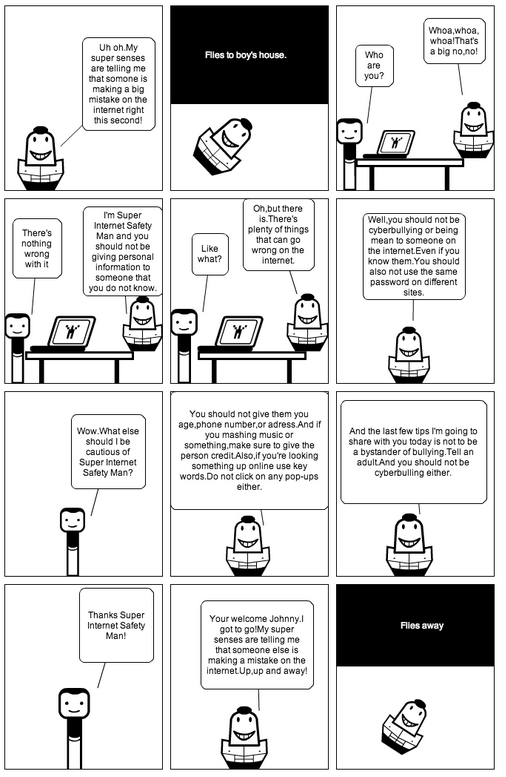 My argument is that Google Glass is more than just a camera or video camera, its a tool. Like any tool it can be misused or even under used. My goal is to find many different uses for this tool in my classroom or even out of my classroom. This week I am monitoring the #Edmodo and #Edmodo Support feed in Twitter. As I was keeping an eye on the feed I noticed several people posting in a language other than English. I thought to myself how in the world am I going to translate these posts quickly. It dawned on me I should try to see if I used the Word Lens for Glass app. That app may be able a solution to see quickly what is being asked in the feed. In a blink of an eye the non English words transformed to English for me. This was mind blowing for me. What a powerful tool. I thought out loud I can definitely use this tool with my non speaking English students. My mind went into overload as I thought of ways to put this tool in the hands of my ESOL students. My first thought was if there was something in print that wasn't translated and that student needed some clarification. By putting on Glass in a second they could see it in their 1st language. Then flip that idea if there was something they didn't know how to write out in English have them write it in their 1st language and have Glass translate it for you. You can also use the voice part of Glass and have something translated for you as well. The Word Lens app for Glass just blew my mind. I did see it demonstrated at FETC but to actually do it is a totally another thing. My goal in becoming a Google Glass Explorer was to share this wearable technology with the staff and students in my school. The 1st few days of bringing Glass into my building was filled with students trying them out and of course the photo op. The majority of my students really had no idea was Glass was or what it could do. After a demo or two word quickly spread through the building of the new tech tool and its amazing power. with ease and from the teachers view point. We are still learning how this wearable technology works and ways to incorporate it into the classroom. Google Glass is finally here and my students are ecstatic. They are coming up with ways they can use this amazing wearable technology. Our 1st project will be to create Movie Trailers using Glass, iMovie, iPad, and Veescope Live Full version app. The past few days over 100 students and staff members tried on Glass and posed for a picture. I can't wait to see where the this technology takes us. Let the Journey begin. MACE or the Mid-America Association for Computers in Education is always the little shot of inspiration I need this time of year. Even though a lot of the topics are things I already do and teach others about. I love to listen and learn how others use the tools as well or just get their perspective on the tool or topic. This year was even more inspiring for me as I presented How to Create a Global Project. If you would like the resources I shared during my session you will need to 1st create a Edmodo account if you do not already have one. Then you will need to join my MACE - Global Project group, I will have to approve your request. In side the group you will have access to all the resources I shared plus you will be able to connect and post questions within the group. Click Here to join the MACE 2014 - Global Project Group. One of the session I went to really inspired me to help my students learn to code, create, problem solve, & experiment. I couldn't get these words out of my head after attending this session Computational Thinking & 21st Century Skills with Scratch, SNAP & Finch Robots. Listed below are the resources shared from that session. Below is my take away from the session on 21st Century Learning Environment Connecting School, Home and Community Through Educational Integration and Tools of Engagement. Record the Lesson you are doing. Make it available. What also inspired me was Open Source Badges. I use badges in Edmodo for my students and I am collecting badges for myself on a professional level. What gets me is why didn't I think of using Open Source Badges with my students, so that they could post them in a digital portfolio. I graduated from K-State with my BS in Elementary Education in December of 2002 and my MS specializing in Classroom Technology in 2005. Soon after my graduation in 2002 and the beginning of my teaching career I presented at Overland Park in cooperation with the Blue Valley School District on how to create interactive activities/lesson with a Smart Board. The first conference I had ever attended as an under grade was MACE in Salina. 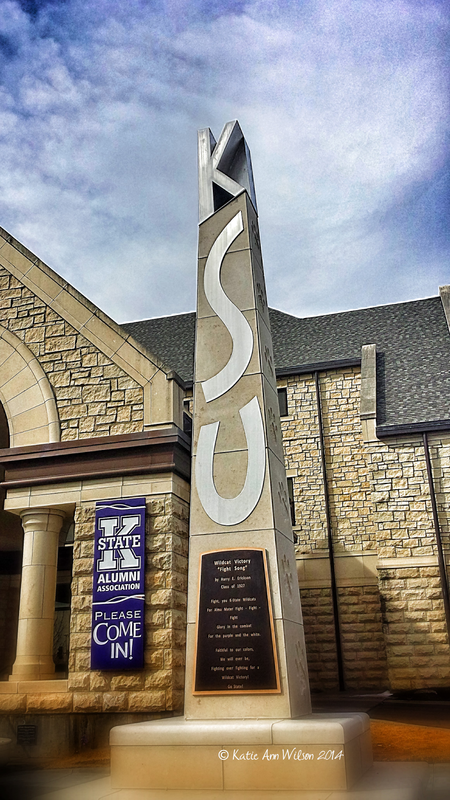 In 2004 I attended the 1st MACE at the Alumni Center at K-State. 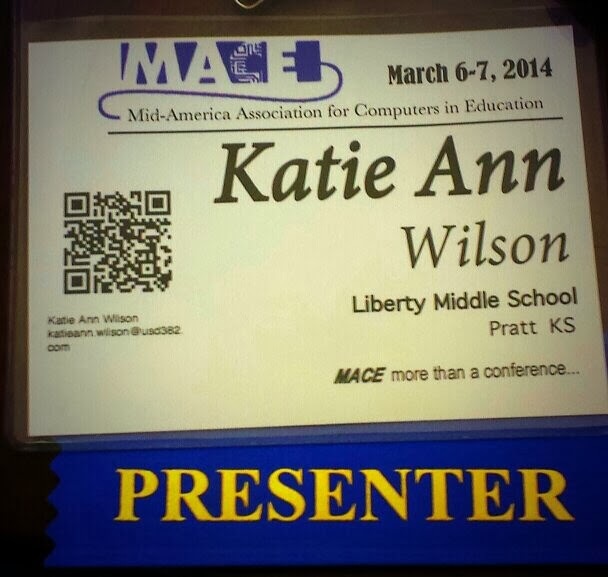 In 2014 I finally became a presenter at the Spring MACE conference. My topic for my presentation was how to Create a Global Project. It took a full ten years, but it finally became Full Circle for me. My career in Education started at K-State and I finally was able to present at at the 1st conference I had ever attended. In the past 11 or so years I have presented at several conference, talked one on one with several teachers/educators, and even created several workshops. I truly felt at home when I presented at MACE this year even though it was a small group. I felt like I connected with the educators in the session I was presenting at. When they left I truly felt like they become new fans of my Edmodo and were willing to start a new Global Project. My career is expanding by leaps and bounds and can't believe how much I have grown in the past year. My next presentation will be with SimpleK12 and my topic will be Creating Green-Screen projects using a Green Wall, an iPad, and an App. Which will take place on May 6th. After that I will be presenting at ISTE, which has also been another goal for me. 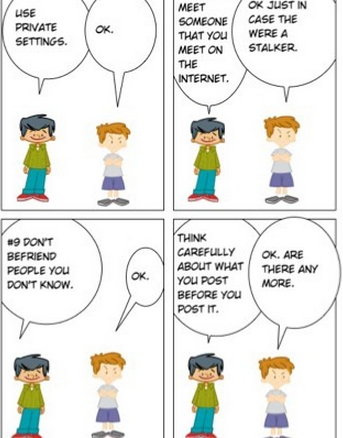 My topic for ISTE is Creating a Global Scrapbook. I will be sharing what I have learning from creating my Digital Global Scrapbook Project this year. What I can't believe is that this quiet girl who sat in the back of the classroom is the 1st person to stand up and share what she has learned. 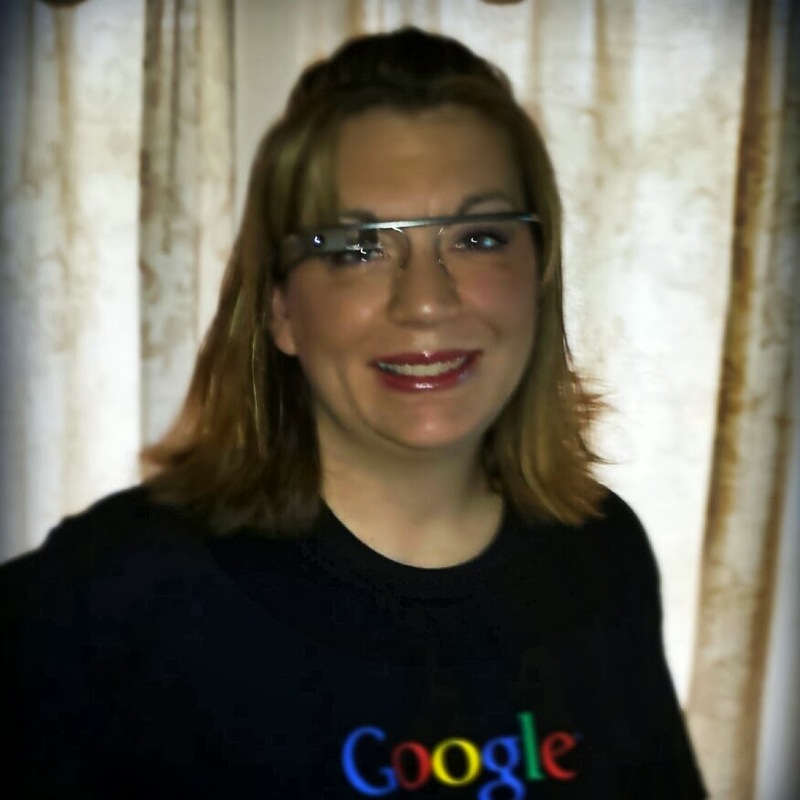 One of the goals I had which I really had not shared was to become a Google Glass Explorer. Thanks to a co-worker and her belief in me I become one this week. I can't wait to share this technology with my students and staff. My family did get to use Glass before me. I was busy presenting "How to Create a Global Project" at MACE when the package was delivered to my house containing the Google Glasses. I received the text that they had arrived while I was presenting. My family took the honor of taking pictures of themselves wearing Glass and sending the pictures to me while I was at the conference. My 5 year old daughter was the 1st Wilson to wear them. I believe she will be like her mom and be an early adopter for technology. My next goal is to become a Google Certified Teacher/Trainer. I would love to be trained at Mountain View in CA. I would also love to take my oldest son with me. He would love to be a software engineer in his near feature. He has been teaching himself how to code and develop. I truly believe he will do great things in his career in software science/engineer. I am currently a Edmodo Certified Trainer and just can't wait to see where my feature takes me. Education Technology is my passion and love to learn and share with anyone who is welling to listen. This past school year I was inspired to create a Global Project. I decided to start The Global Digital Scrapbook Project. Today I will be presenting on how I managed to launch my project. I plan on sharing the tools I used to create and manage The Global Digital Scrapbook. This project is still live and in the building process. I can't wait to share what I have learned on creating a project at such a large scale. 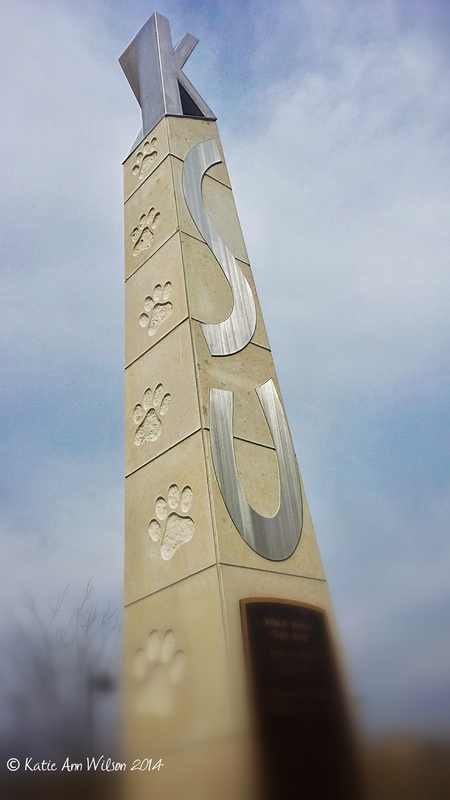 I will be at the K-State Union in room 227 at 3pm today.